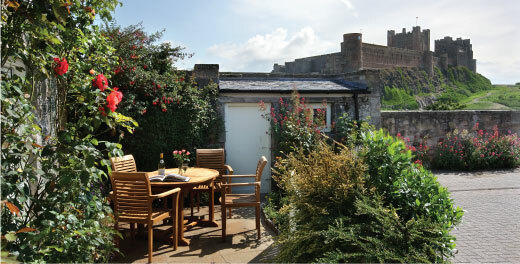 Do you own a luxury holiday cottage in northumberland? Sand and Castle are a holiday letting agency with a fresh approach. All our cottage owners share a passion in delivering luxury hospitality based in the beautiful county of Northumberland, offering stylish accommodation in great locations. Our aim is for your property not to be lost in a sea of holiday homes but to standout in a beautiful portfolio of luxury cottages and benefit from our carefully targeted marketing strategies, professional photography, and exceptional customer service. We are looking for like-minded people who share our passion for offering fantastic hospitality and want the high booking levels that we can generate through our in-house marketing team. If you choose to work with Sand and Castle and market your holiday cottage with us we know you will be impressed with the quality service and excellent rate we can offer you. We are a new company with a fresh and focused approach and are really excited about the future for owners at Sand and Castle. For co bookers who are non exclusive we charge 17.5% inclusive of VAT. "Great service without the cost of some of the other agencies out there. The bookings Sand and Castle are achieving for us have exceeded our expectations!" "Thanks Sand and Castle, your advice and help were invaluable to our decision making and we weren’t disappointed, all our family had a fantastic time at Coast Cottage...can’t wait to come back!"